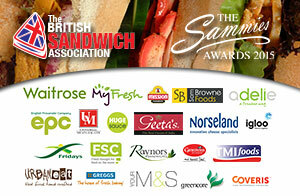 Rubbing shoulders with some well-known national names, Picnic Cornwall have won Gold in this year’s Sammies – the Independent Sandwich Retailer of the Year Awards held by the British Sandwich Association in London. 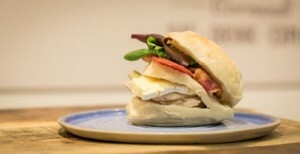 ‘The Sammies’ are designed to recognise the importance of sandwich sales in coffee shops and cafes and entries judged on innovation, quality and sales success together with product range and presentation. Picnic Cornwall source and serve local produce and are supporters of the Cornwall Food & Drink / Chamber of Commerce ‘Choose Cornish’ Campaign. Picnic Cornwall is one of 5 winning Independent Coffee Shops which hale from across the UK – Picnic Cornwall being the only one in the South West. Other categories in the awards are for Chain Coffee Shops with winners including Pret Café, Costa, M&S Café and Thornton’s Café. Picnic Cornwall and the other Gold Award winners travel to London for the Awards Dinner in May – where one outlet will be awarded Platinum. If you would like to try out Picnic Cornwall’s award winning sandwiches why not visit us at 14 Church Street, Falmouth. You can also keep up to date with facebook – /picniccornwall.